The push for apartment living in our big cities means there’s every chance you’re short of a bath tub at your place. 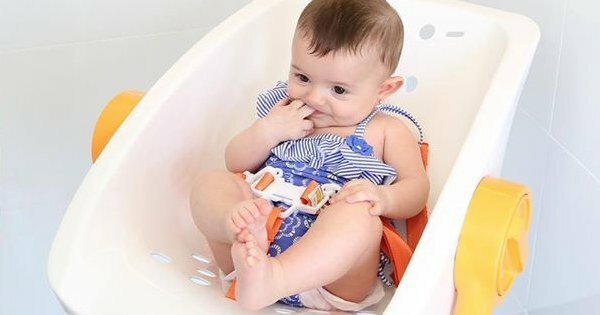 A shower might be fine for bigger kids, but anyone who’s tried to wrangle a wet and slippery soapy baby in the shower knows you’re only a hand grip away from disaster! Click through to see how the CharliChair brings a whole new level of security to showering your precious (and slippery) baby. The CharliChair will be worth its weight in baby wash for those who don’t have a bath and for those who just plain find it difficult to bend over a tub. 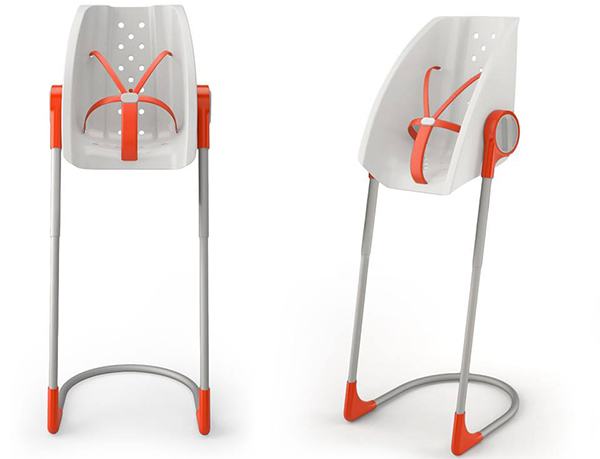 A highchair especially designed for wet areas – it can be placed in the shower to safely and securely hold your baby. Catering for children from newborn all the way up to 17 kilograms, the CharliChair has three adjustable heights and a multi-position recline for the ultimate relaxation. The chair itself has a non slip seat with five point harness, corrosion protected legs and non slip feet so both your slippery bub and chair stay put in wet conditions. The CharliChair is priced $119.95 and available directly from CharliChair.